Precision X-Ray, Inc. (“PXi”), a pioneer in customized biological irradiators and Image Guided RadioTherapy (IGRT) systems for pre-clinical research, and Faxitron Bioptics, LLC (“Faxitron”), a highly respected manufacturer of dedicated cell and small animal x-ray irradiators, combine irradiation business assets under newly formed company. 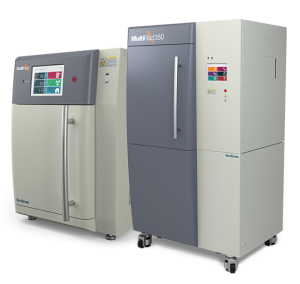 North Branford, CT – July 2, 2018 – DRMC X-Ray, Inc. (“DRMC”), an affiliate of Faxitron, was formed to take title to Faxitron’s irradiation assets and today announces the acquisition of the assets of Precision X-ray Inc. (PXi). Both Faxitron and PXi have deep roots in cabinet x-ray for biological irradiation. Under DRMC, this new combination will leverage the R&D strength and pedigree of PXi with Faxitron’s focus on integration and automation. Corporate headquarters, R&D and manufacturing operations will be located in North Branford, CT, the current home of PXi. DRMC will continue to operate under the PXi name.